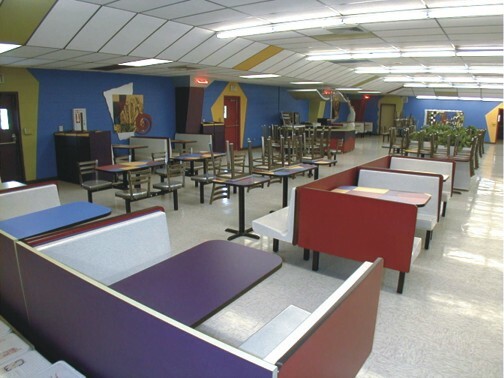 Many seating styles – booths, cluster seating and individual tables and chairs. A colorful wall painting design to brighten up the room. 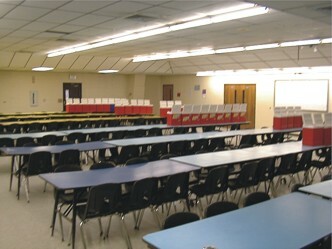 Before: Does this look like your cafeteria. Pretty dull and boring, with low student participation. After: The room has a new paint scheme designed by our artists, with wall art and varied seating styles including booths, cluster seating and freestanding chairs with pedestal tables.